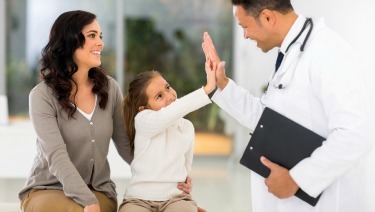 ​​A medical home is a trusting partnership between you, your child, and your pediatric primary health care team. Your pediatrician can help you and your child access and coordinate specialty care, other health care and educational services, in and out of home care, family support, and other public/private community services that are important to the overall well-being of you and your child. ​Visit the AAP's National Center for Medical Home Implementation site to learn more about the importance of medical home for you and your family. Parents know who they should go to when their child is sick. But pediatrician visits are just as important for healthy children. Is It a Medical Emergency, or Not? Urgent Care: Is It Worth the No Wait?